hey you all? who wants to read about getting shock treatments? if you do write me and let me know. i’ll send you my zine on getting e.c.t. for free. cheers to you all! fishspit out. p.s. don’t forget to check out seagreenzines . . . and zine-o-matic! Issue one should be out by the end of the month – submissions open for issue 2 / & hopefully a future print edition. My zine on getting shock treatments! Wiseblood #67! curious . . . drop me a line! fishspit out! 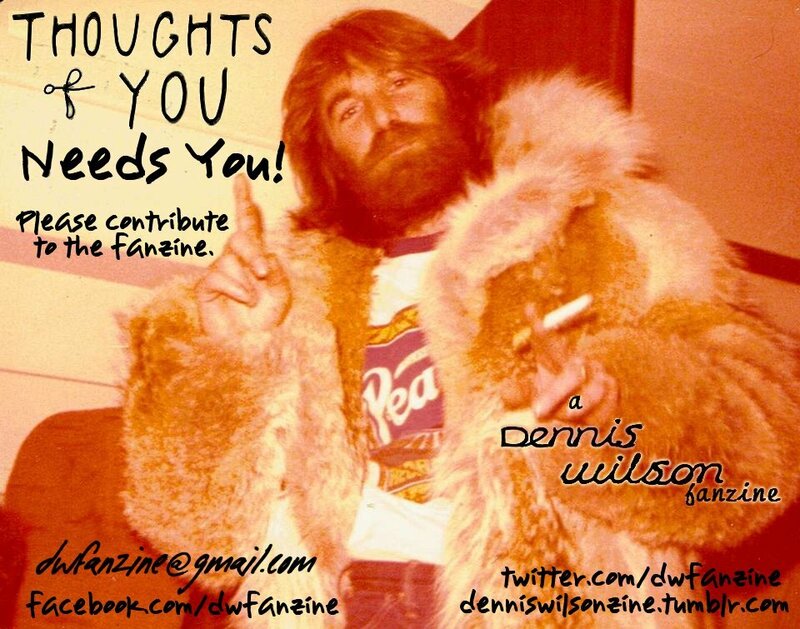 I’m looking for anything about/inspired by Dennis Wilson (solo/The Beach Boys/Pacific Ocean Blue). Deadline for the first pdf issue is the 31st of August but submissions are ongoing for future issue & possibly print edition(s).